Designed with amino acids and hypoallergenic rice protein that support gastrointestinal health and enhance liver function and detox. NuMedica ProGI Soothe is an easy-to-digest protein made with hypoallergenic rice that supports digestive system health and may even enhance the skin and joints. This powerful natural supplement can also support detoxification by enhancing liver function. 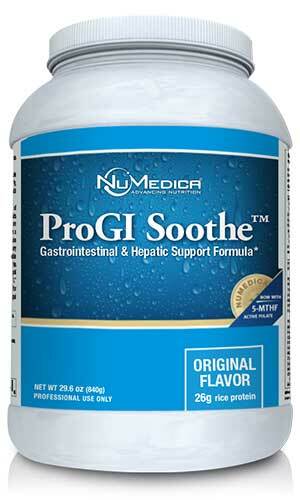 NuMedica ProGI Soothe also provides gastrointestinal restoration and elimination support with its natural and nutritional ingredients like sulfur and both essential and non-essential amino acids. 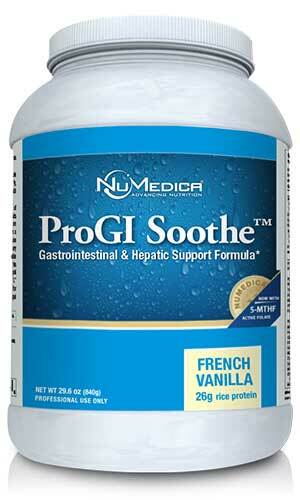 NuMedica ProGI Soothe is available in Original and French Vanilla flavors. Through its continuing research and unstinting dedication to creating safe and effective products, NuMedica has earned its reputation as a leader of the nutritional supplement industry. Their pioneering work has led to the creation of hundreds of products that support a comprehensive range of nutrition and health needs. If you are thinking about beginning a supplement regimen, NuMedica is a brand you can depend on for superior quality. In so many ways, our gastrointestinal tract is a cornerstone of optimum health. Many supplements are designed to support the function of this system. If our gastrointestinal tract functions poorly, it can lead to reduced immune system function and other health issues. Taking a supplement like ProGI Soothe provides your gastrointestinal tract with the support it needs to do its job. 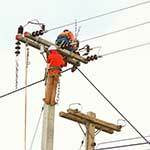 It seems that no matter where you live, environmental pollution is an increasing concern. As our bodies are affected by toxic chemicals in the environment and in the very products we may bring into our homes, our livers have to work extra hard to remove these unwanted and hazardous toxins from our systems. A supplement like NuMedica ProGI Soothe supports the liver's detoxification process and helps spur elimination of these unwanted materials in our bodies that could cause problems if they remain in our systems. Directions: Stir or blend 2 Scoops (60 grams) into 12 ounces of water or juice or as directed by your healthcare practitioner. Other Ingredients: Rice protein, whole grain brown rice syrup solids, natural vanilla flavor, guar gum, xanthan gum. ProGI Soothe® Vanilla also contains stevia. Free of: Milk, eggs, fish, shellfish, tree nuts, peanuts, wheat, soy. Does not contain artificial colors or preservatives. TRAACS and The Albion Medallion are trademarks of Albion Laboratories, Inc.
Aminogen® is a registered trademark of Triarco Industries and is protected by U.S. Patent No. 5,387,422. †Quatrefolic® 5-MTHF. Quatrefolic® is trademarked by Gnosis S.p.A. Patent No. 7,947,662. Powerful supplement that supports the Phase 1 and Phase 2 liver detoxification pathways and enhances gastrointestinal health.